$39 - $50 Flower Cubes Our spectacular floral cube vases are hand created by our in house floral design team a perfect floral gift for any occasion no matter who the recipient. We have created innovative designs of mixed flower cubes to suit every floral design aesthetic. Our Fresh flower cubes are arranged in our vibrant bright glass cube vases in cool aqua and apple green . Flowers are delivered via FedEx and on the date requested, and we guarantee that your mixed flower cubes arrive in pristine condition. Birthday Flowers: You might not be aware but every month has its own birth flower, for eg. Carnations are the birthday flower for the month of January, Lilies are the Birthday flower for amy..while those born in June enjoy the popular roses as their birth flowers. 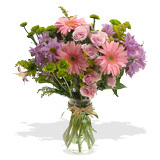 So we recommend that you give your loved one a bouquet of their birth flower as their birthday flower gift. Giving the ambitious Capricons a beautiful bouquet of mixed carnations, will be an authentic and heartfelt flower gift that they will appreciate and relate on an intrinsic level, bringing them luck and heartfelt good wishes.